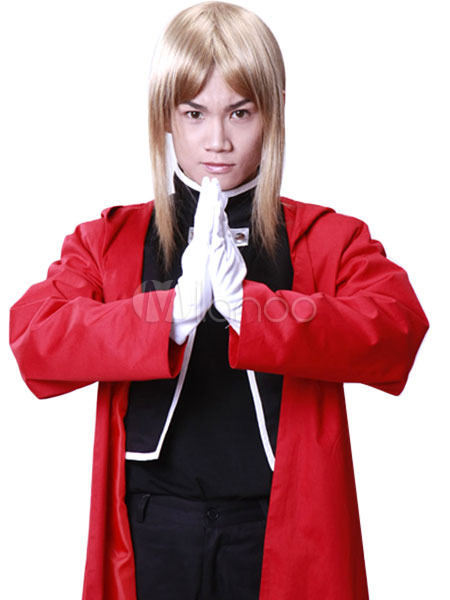 Make you the same as Edward in this Full Metal Alchemist cosplay costume for cosplay show. 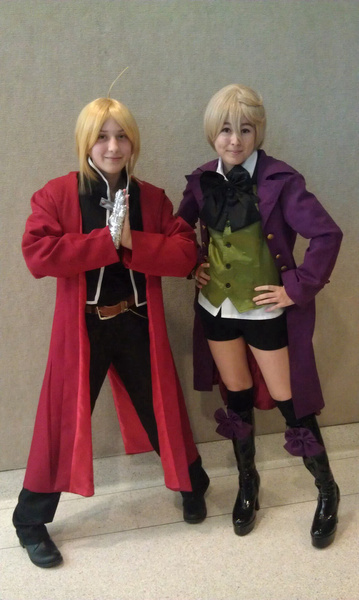 The cosplay looks exactly like the pictures and I absolutely love it! 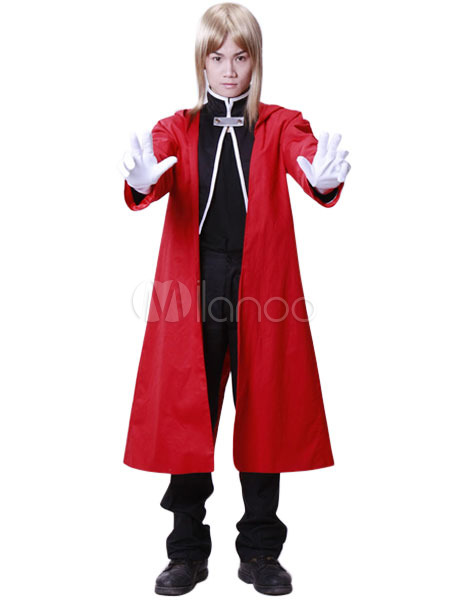 If you'd like to cosplay Edward, I'd suggest this cosplay. Looks good, but what exactly does this costume come with? Looks great it all fit but the pants are a little bit too big. it shiped quick and im verry happy with it. 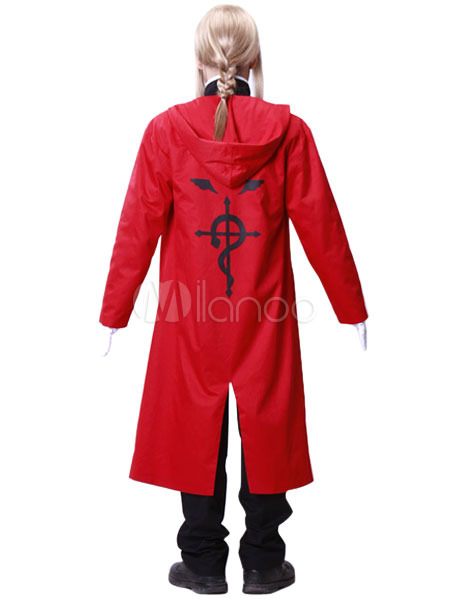 is it possible to order the coat only or does it have to b the whole set? Sorry, the coat cannot be bought separately. The whole set includes a coat, jacket, t-shirt and trousers. how long is the manufacturing process in terms of days? 13 days plus 3-5 days for shipping. hello, how long will it me before it ships? The item doesn't include a belt ,the fabric is cotton ,it's not very warm,it fits autumn and spring . 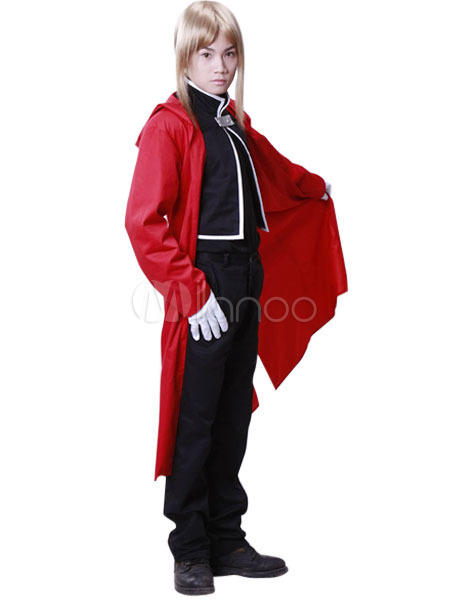 I really like that I can choose my exact size for this cosplay costume! And I like the whole 360 persepctive pictures so I can really see what I'm getting! The overall quality of this costume was also very good. 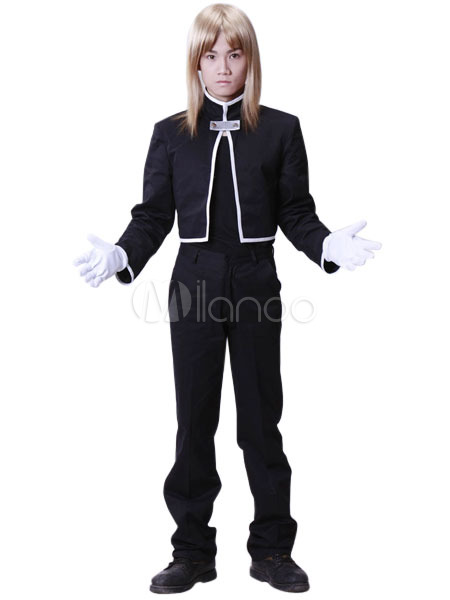 I would recommend this costume to anyone looking for a cheap solution. Bought for my brother using the measurement guide. Awesome, really happy with the product! He is very happy too, recommended Milanoo to his friends as a result. Bought the cost play wig as a package deal and the quality is terrific. Does this come with gloves? my friend told me about this website and said for christmas like around december 20th or something there's free shipping. is this true? if not, is shipping expensive? so does it come with everything in the pic? 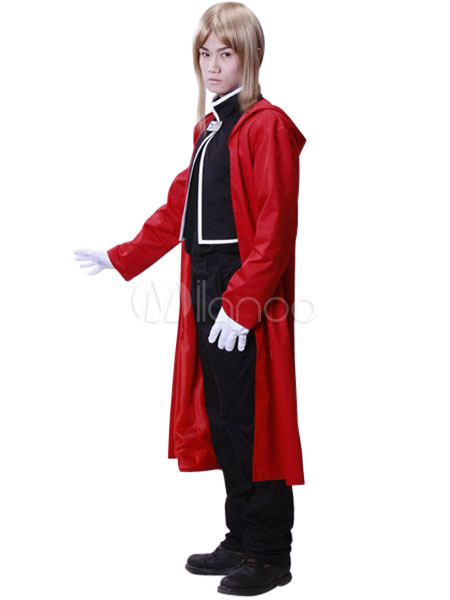 Overcoat , Underwear , Top , Pants are all included, but the wig and shoes are not.